Nobel Biocare empowers dental professionals all over the world to treat more of their patients better. Its products and solutions, as well as its treatment concepts are designed solely for the benefit of patients so they can enjoy fully-functional and natural-looking restorations that aspire to last a lifetime. 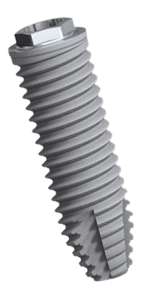 The NobelSpeedy® Dental Implant is ideal choice for the MALO CLINIC Protocol All-on-4™ technique. With its innovative design and high primary stability, it is ideal to be used for immediate function. It features short drilling time so it is suitable for full-mouth reconstructions. The tapered body allows it to be easily drilled and is designed for high primary stability which allows for immediate function protocols. The sharp tip of the implant also makes cutting through dense bone with ease which permits under-preparation and bi-cortical anchorage. The efficient technique allows for short drilling protocols and is ideal for full-mouth reconstruction. This provides maximum comfort for the patient and promotes faster recovery. NobelSpeedy® comes in a wide range of lengths and sizes, resulting in maximum versatility. The surface of the implant is oxidized with TiUnite®, which gives way for an enhanced osseo-integration and allowing constant high implant stability during the healing phase and enhances long term success. The new NobelZYGOMA from Nobel Biocare is the ideal implant system for an immediate-loading procedure with graftless treatment. It also offers a wide choice of temporary prosthetic options which ultimately shortens time-to-teeth (3 months vs. 9 months) for maximum patient satisfaction. Its multi-cortical anchorage as well as the proven apex design allow for high primary stability. 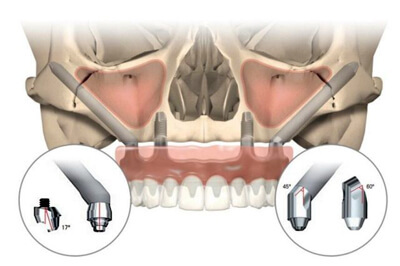 The NobelZYGOMA allows patients to avoid complex bone transplant procedures like bone-grafting because the implant anchors directly to the zygomatic bone. Innovating beyond 25 years of success with zygomatic implants, the NobelZYGOMA Implant is designed to provide alternative treatment options for severe maxillary resorption without bone grafting. Moreover, long-term study reveals that the NobelZYGOMA features an average implant constant survival rate of 95.12% after 10 years. 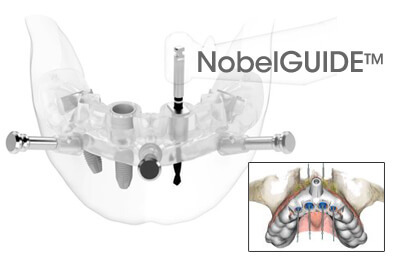 The NobelGUIDE™ is a cutting-edge Diagnostics, Treatment Planning, and Guided Implant Surgery System Concept developed by Nobel Biocare. From a single missing tooth to an edentulous jaw condition, it helps dentists and surgeons diagnose, plan the treatment, and place the dental implants based on restorative and surgical requirements. The complete treatment concept allows dentists and patients to experience a powerful diagnostics and treatment planning like never before. Its built-in and user-friendly NobelClinician Software makes it possible to avoid surprises during the treatment process by providing a careful but comprehensive diagnosis and treatment planning. Other essential features of the NobelGUIDE™ System include a predictable implant placement and an optimized restorative outcome. The system actually makes the dentist’s treatment plan a clinical reality with customized surgical templates. It also allows for high aesthetics and function to patients with a comprehensive range of prosthetic solutions.